Celebrities are not the only ones that need a personal assistant. We also come across various day to day scenarios where we would’ve wished for one of our own, but the thing is, most of us cannot afford keeping one. However, if you have a smart phone, the problem is more than solved. 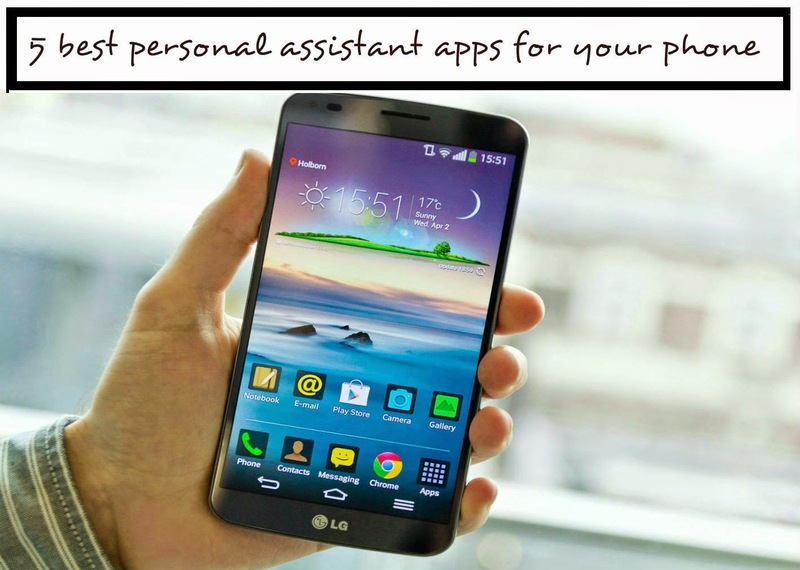 Many smartphone applications out there fill the void of a personal assistant and serve you pretty well. The mere idea of substituting an actual human with a smart phone might sound outrageous at the start, but once you get the hang of it, this could be a lot of fun. Knowing the best application for the purpose could be a bit tricky, but look no further if you are stuck in that confusion. You know it’s a good product when you see ‘Google’ as part of the name and Google Now is no different. Designed for both iOS and Android, the application is marketed as an intelligent, personal assistant by Google and it has all the right to be marketed so. It comes with some handy Geo-triggered reminders. It also had the ability to store the boarding passes of airlines. The ability to work in the Google Chrome browser on PCs is another big advantage of Google Now, while the bar code scanning and song recognition are useful add-ons. Well, this might probably the best speech recognition application out there. It certainly doesn’t reach to the standard of the Google Now application, but the dictation part makes it stand out from the others apps on the list. It is known to be having a better recognition than Siri while the possible synchronization options with iTunes and Netflix makes it more versatile. This one is probably for all the Batman fans out there. We all know how helpful Robin has been to Batman throughout the stories and that is the basic purpose of naming the app. It checks out directions and cheap parking spots while having impressive voice recognition. Hands free messaging is also a big plus point for Robin. The process of delivering news from the newsroom is another big advantage for anyone who might wonder why Robin is dubbed as the challenger for Siri. Speech recognition of Vokul might not be as good as the other names in the list, but when it comes to voice control, Vokul beats everyone. It has a state of the art hands free experience which can also work in some of the noisiest environments possible. It has the ability to read out your social media feeds in style along with being able to fast forward to your favorite part of the song. Activation of Vokul is yet another impressive thing, as it could be activated by just saying ‘hey vokul’. To make the choice more obvious, Vokul is the only 100 percent voice recognition app out there, so all those people lazy enough to type and click will find vokul and its interface perfect. 24me should be the pick for everyone who enjoys free application. This is a pretty straight forward and easy to use application that prides itself for the simple interface. 24me basically couples all those tasks out there with the calendar and allows you to easily share content and updates with all your friends. The recent edition of 24me is also available for all those Android users out there. The android version also enables synchronizing with various other apps like Facebook which in turn makes sure that none of the updates are given a miss.